UPDATE (17th September 22:45 BST): Bitcoin Solutions president Adam O’Brien has indicated he has not yet filed a lawsuit against Robocoin. O’Brien told CoinDesk he is awaiting a refund that will determine whether he conducts any further action. Embattled bitcoin ATM maker Robocoin is facing yet another upset, this time in the form of a looming customer lawsuit. Bitcoin Solutions, a Canadian outfit operating three bitcoin ATMs across Alberta and Saskatchewan, announced its intention to sue Robocoin in a Reddit post Thursday evening. Robocoin, which has since rebranded as global cash transfer network Romit, was due to ship the machine on February 7th 2014. However, after a series of delays – outlined in this document of their correspondence – Robocoin CEO Jordan Kelly agreed to grant O’Brien a refund, normally against company policy. By March 2015, O’Brien had received $15,000 from the ATM maker, and the pair had agreed to an 8-week payback agreement. The first bitcoin ATM maker to market, Robocoin now faces competition from cheaper, smaller models as global sales slow. 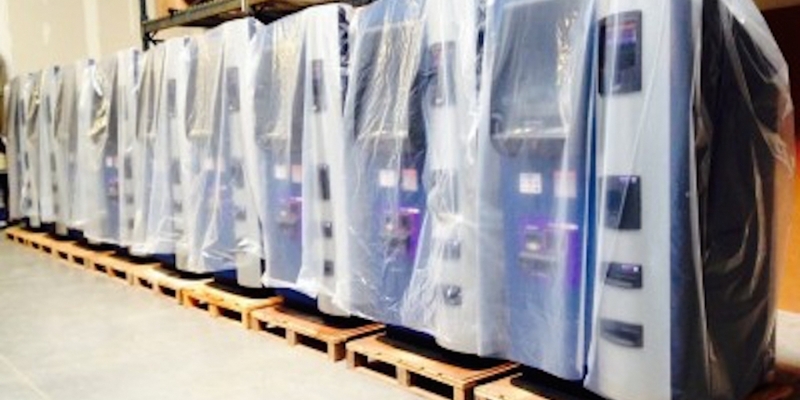 During its 19-month wait, Bitcoin Solutions purchased and installed two other branded ATMs, a Lamassu and a Skyhook. Meanwhile, Robocoin underwent a significant transformation, moving from a fee-based ATM network to a bank-like service looking to disrupt global remittance flows. In the correspondence between O’Brien and Kelly, the CEO cited Robocoin’s pivot as one of the key factors in its cashflow problems. O’Brien’s refund hinged on new hardware sales, he said. Although the company had not sold a machine since October, channelling funds into Romit “should increase demand dramatically for these kiosks,” Kelly added. Towards the end of their correspondence, the Robocoin CEO claimed he would press charges if Bitcoin Solutions was to go public with its greivances. The company would be less able to return his funds should he “publicly impair” Robocoin’s reputation, Kelly added. The company has faced a series of customer complaints around shipping delays and changes to its new bank-like service, which has more central controls and requires more detailed customer data in line with know-your-customer (KYC) requirements. In late 2014, some operators, rallied by London outfit SatoshiPoint, chose to disconnect their machines from Robocoin’s software, and ‘jailbreak’ them with alternative back-end systems. Rival General Bytes still offers a DIY kit on its website for unhappy operators wanting to make the switch. Another Canadian operator, MetaLab Design, took to Reddit to voice frustration after receiving a defective Robocoin machine, which was also delayed. It received a full $25,000 refund and an apology from Kelly, later proclaiming: “Internet justice has been served”. “It should not have taken Reddit’s wrath for me to realize the extent of my mistakes and take long overdue accountability,” Kelly told CoinDesk at the time. Robocoin did not respond to requests for comment on this story.